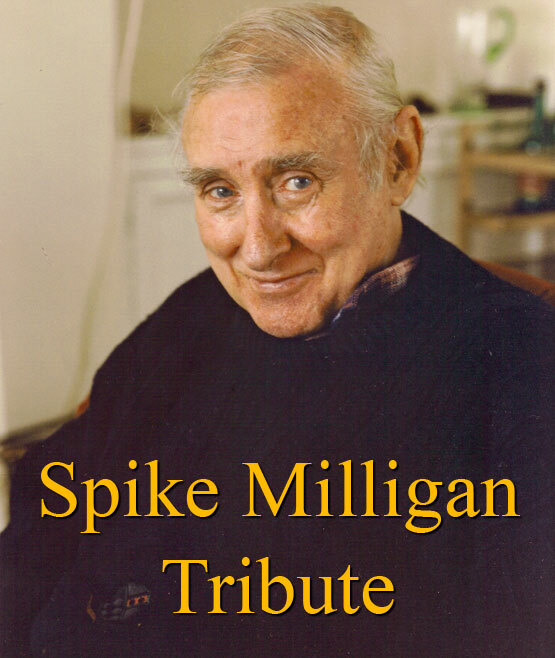 All the poems, jokes and anecdotes on this tribute audio album were recorded in Spike Milligans house near Rye in Sussex. The intimate atmosphere which has been captured on these recordings gives the impression that Spike could actually be there in front of the listener. “True Love” (at the end of this recorded tribute) which reflects on the innocence of childhood. “The Jazz Club” – quirky humour and observations after a visit to a jazz club. “The Soldiers at Lauro” – an extremely moving poem reflecting Spike’s feelings about war. “Metropolis” – a very moody piece with a touch of menace. “Easter 1916” – Spike’s dramatic poem about the Easter uprising in Dublin, Ireland. “Jasmine” – Spike’s gentle reading of the poem is set to haunting music which takes its inspiration from his evocative and sensitive prose. There are also a number of jokes and anecdotes on this tribute recording which have never been heard in public before. A sample of the tribute’s content can be heard on the “Listen” page of this website.